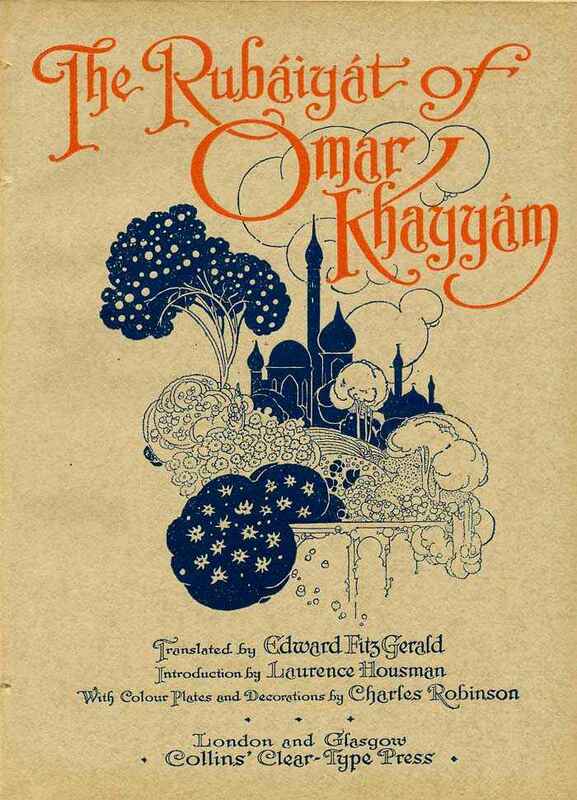 My third post in the Summer Poetry Challenge is about Edward Fitzgerald's interpretation of 12th century's Omar Khayyam's Rubaiyat, which became one of the most widely read poems of the 19th century. However, it is not considered to be a literal translation of the original, as Fitzgerald took a many liberties in his interpretation, in order to make a beautifully styled English version. Despite this, many scholars still consider Fitzgerald's version to be faithful to Omar's original meaning. The Sultán's Turret in a Noose of Light. I heard a Voice within the Tavern cry,"
Awake, my Little ones, and fill the Cup"
Before Life's Liquor in its Cup be dry." Descend, ourselves to make a Couch--for whom? There seem'd--and then no more of THEE, and ME.